First of all, what’s cradle to cradle? It essentially means all waste is recycled, as opposed to cradle to grave, where waste is disposed into landfills. 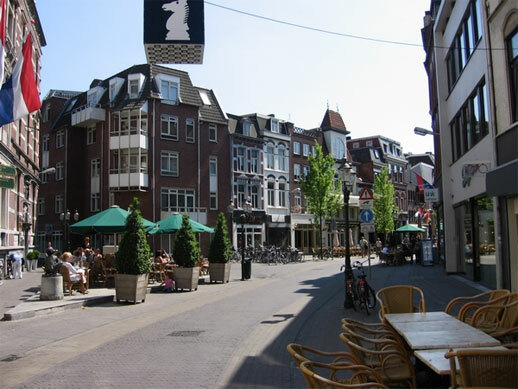 It’s referred to as waste = food, and going full cradle to cradle is a near impossibility at this point, but the 90,000 person city of Venlo in The Netherlands is going for it. Fortunately, the country’s culture itself already provides some of the best precedents – notice the number of cars in the photo above, which is not an uncommon scene in Holland. That’s one of the reasons why the government and business leaders took the lead on transforming their town’s mission when they first heard about the concept in 2006. Assisted by cradle to cradle experts in architect William McDonough and professor Michael Braungart, the second step is figuring out how to work together to actually achieve cradle to cradle. It’s really not up to the town businesses and residents itself to invent new ways to recycle products that never were, so this is a global effort (which I would think would benefit immensely from crowdsourcing). However, given the technology, you can count on Venlo’s citizens to implement them. That says a lot. Would you live in such a town? Also, post a comment if you find a website that tracks this effort!